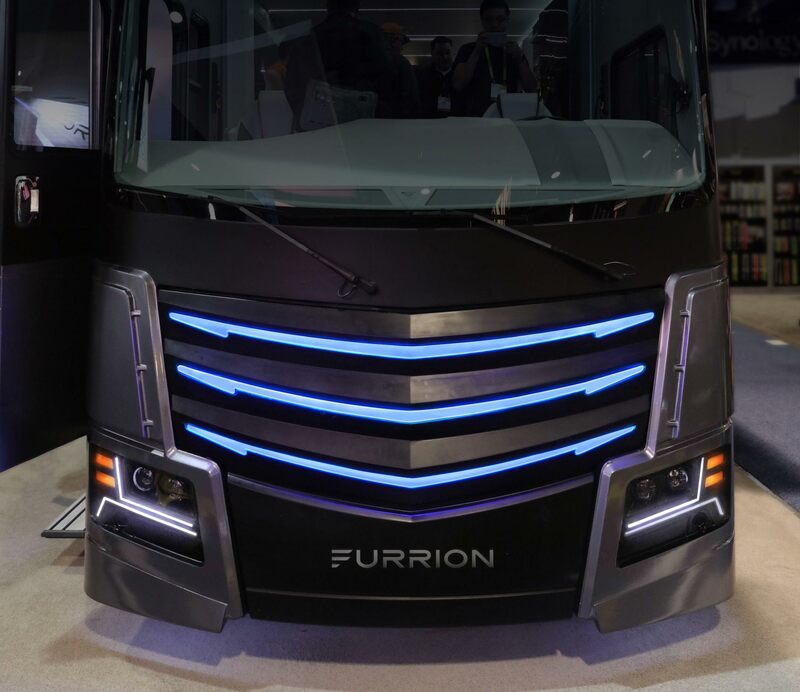 Every year mind-blowing concepts are showcased at Consumer Electronics Show, and this year Furrion (a global technology startup) exhibited for the first time, a technology-inspired RV concept dubbed Elysium. 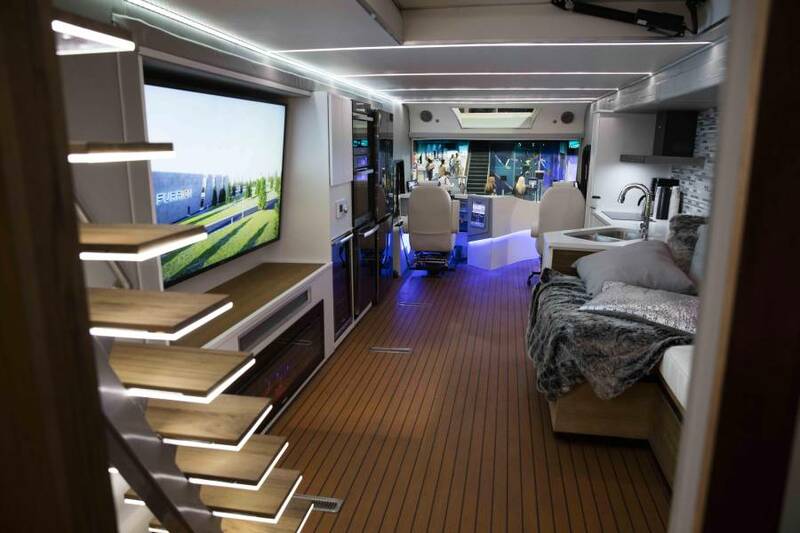 Measuring 45′ long, 8′ wide, and 13′ 6″ high, this luxury home-on-wheels is packed with plush amenities, and newest electronic gadgets to enjoy a luxury lifestyle on the road. 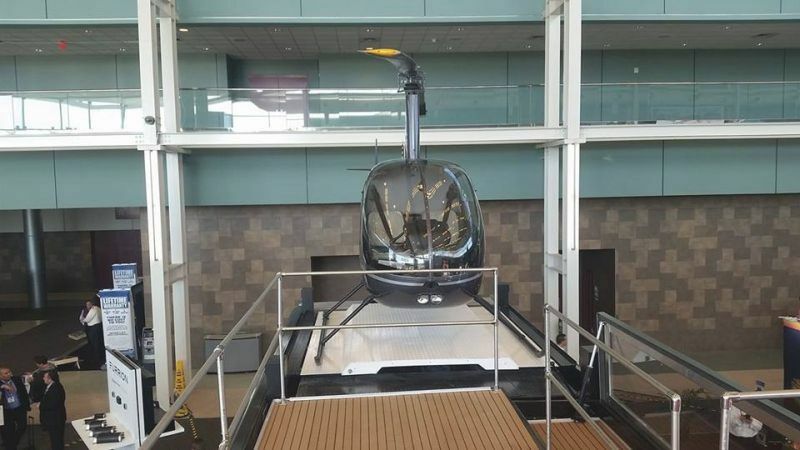 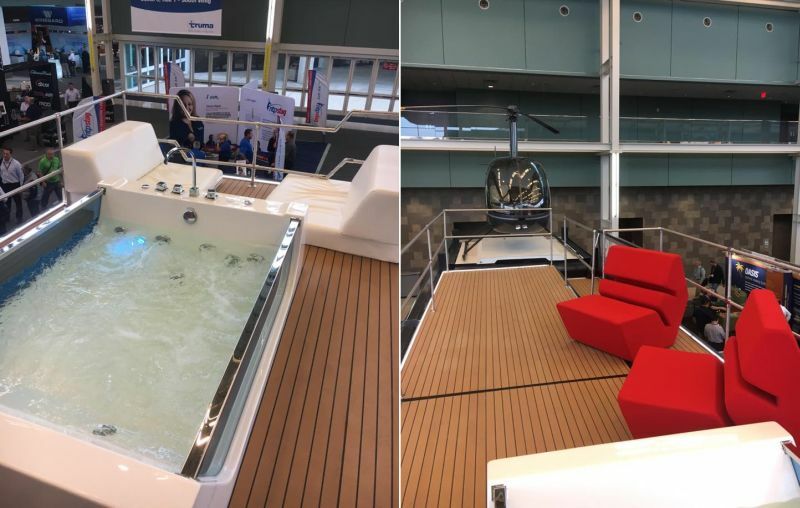 The most intriguing feature is the Robinson R22 mini helicopter that conceals within the RV along with the helipad on the deck. 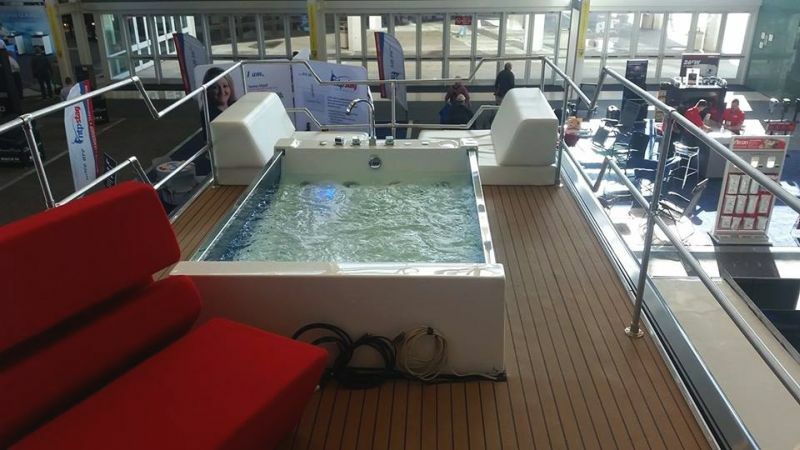 Elysium RV seems to be more appealing with a hot tub at the rooftop deck. 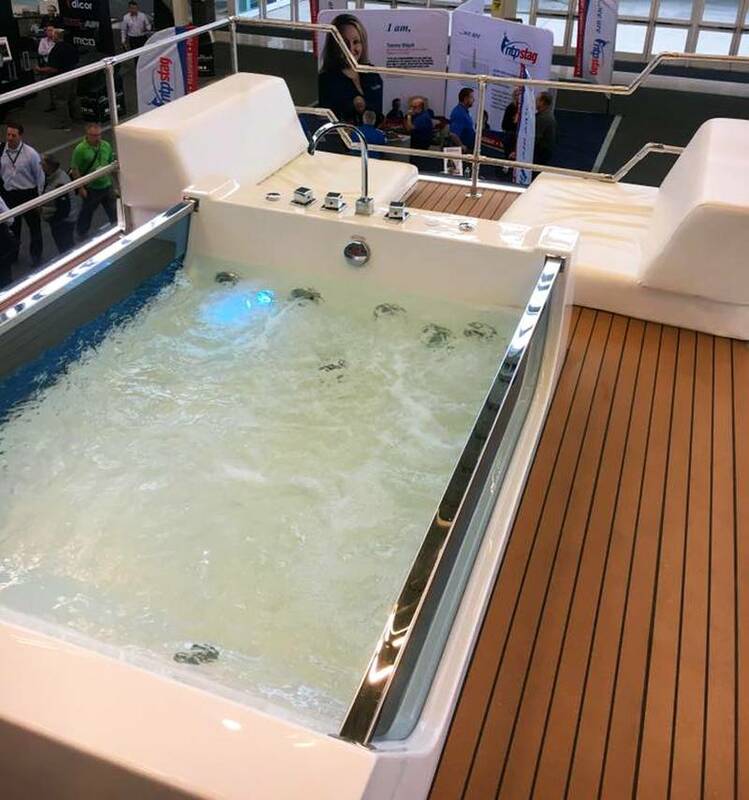 Interestingly, it comes pre-fitted from the company with all necessities you’ll require for ‘high-tech life of the future’. 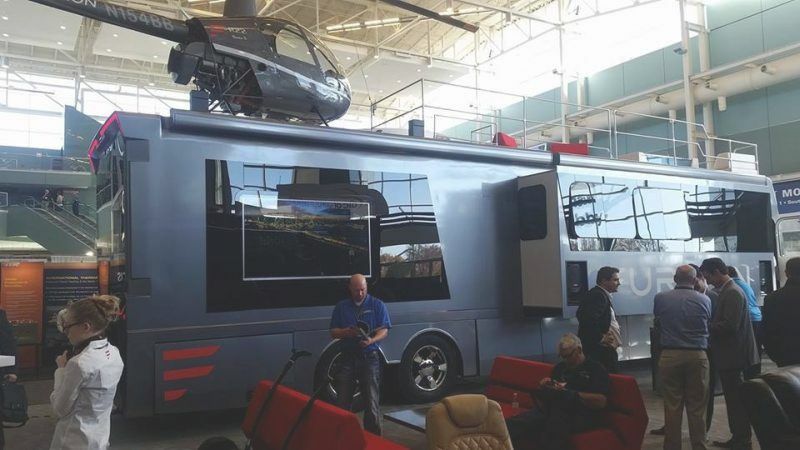 The RV feature 4K TVs, modern kitchen appliances, Bluetooth speakers, and other electronic products to make life easy on the road trips. 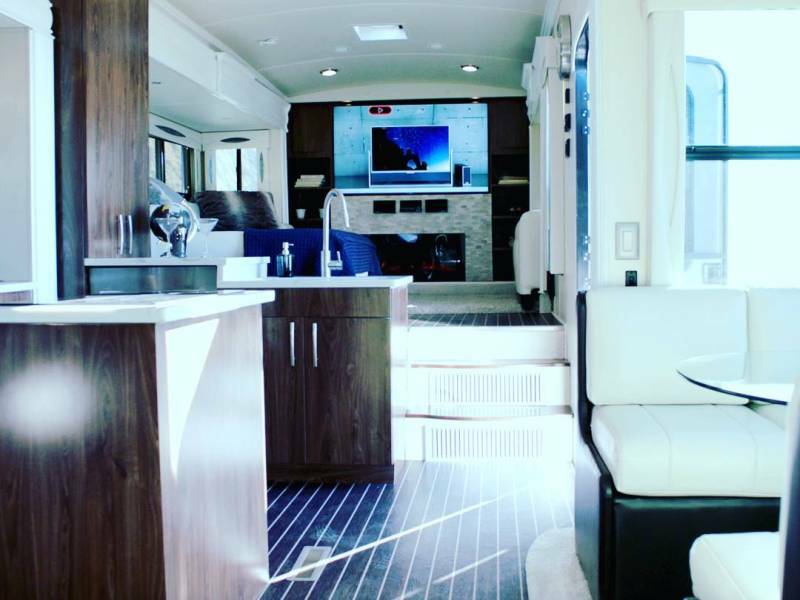 Right from the entrance, luxurious accessories and appliances are tucked into the walls of the RV, leaving sufficient space for people to move around. 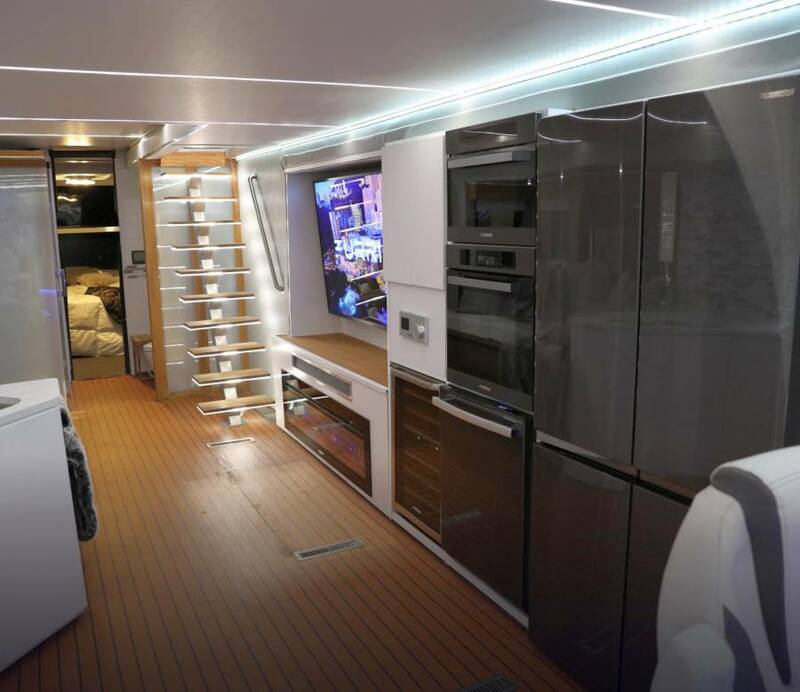 There are appliances and accessories like induction cook-top, dedicated 48-bottle wine refrigerator, microwave oven, dishwasher, fireplace, etc. 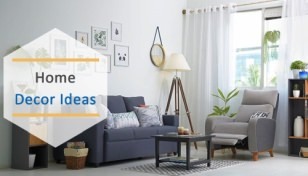 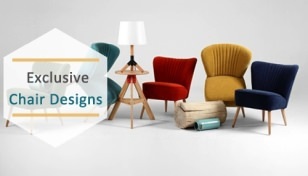 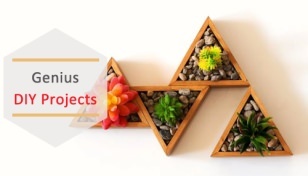 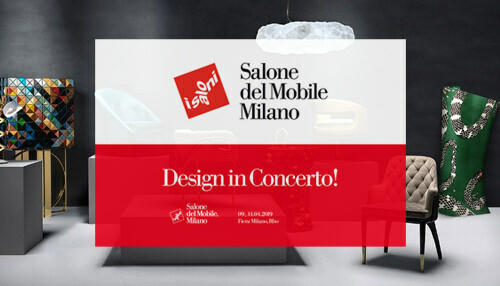 There is possibility to customize interiors, including the lounge area, kitchen, bathroom, and the bedroom as per personal need. 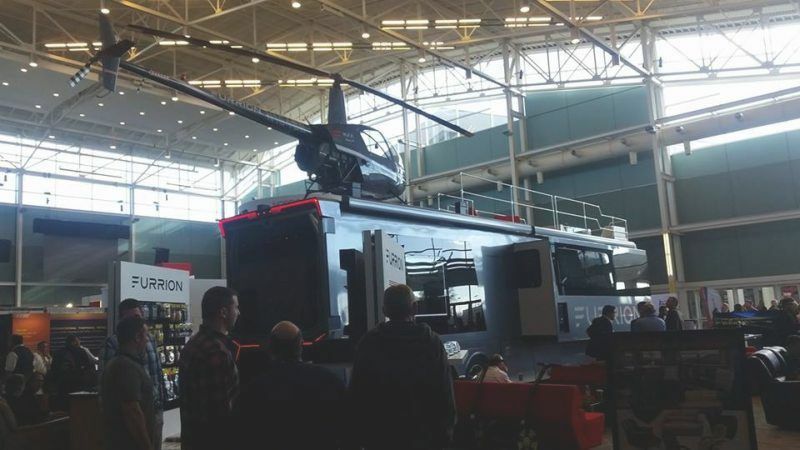 As of the driver’s section, it has a digital display and touch-controls. 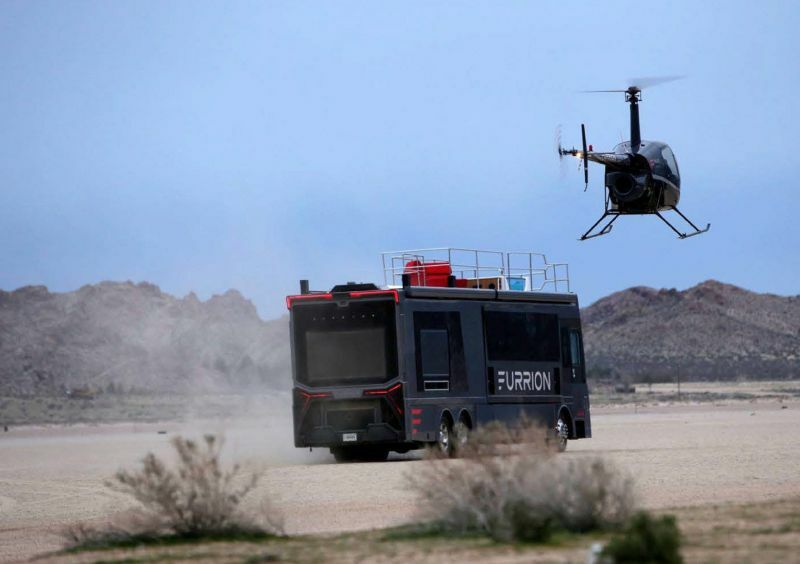 The Elysium RV also has Wi-Fi, motion sensors, and security features.The company has immaculately included all the important features required in a luxury motorhome, which makes it a leading concept. 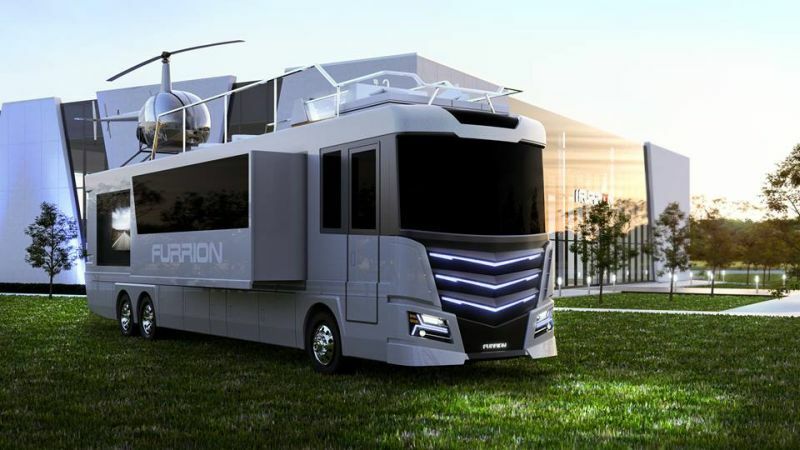 The idea of packing motorhomes with luxurious amenities and a fast medium of transport is surely a futuristic concept for holidaying without any worries.Such futuristic mobile homes have power to make road trips unforgettable. 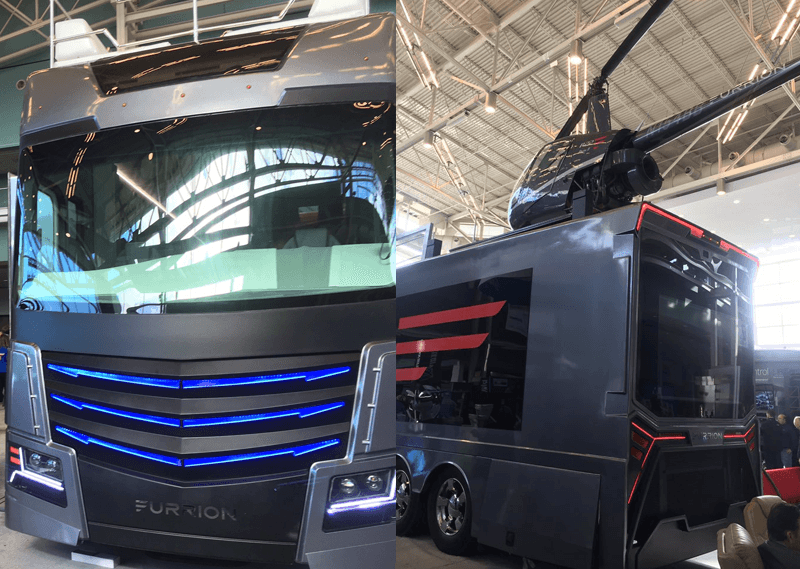 Sadly, Elysium is only for display at CES, but if Furrion ever brings it to market, you might be tempted to grab it for around $3.5 million. 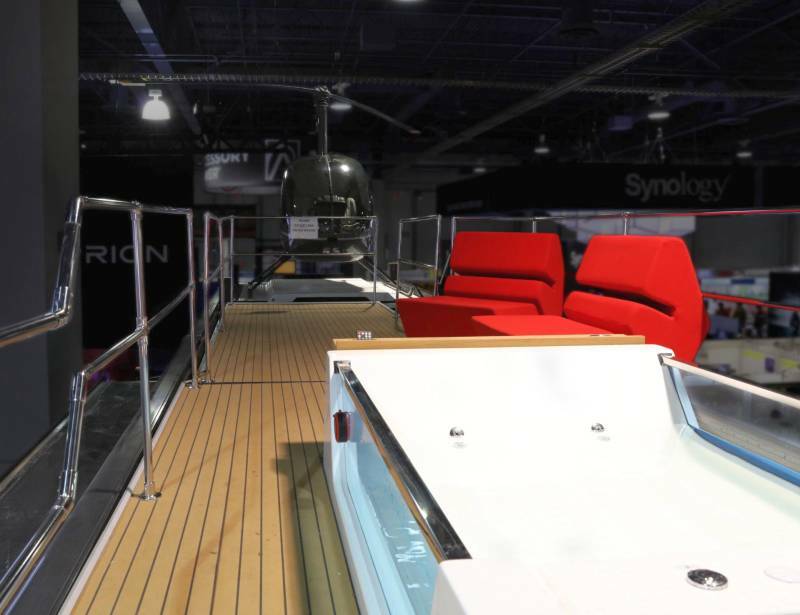 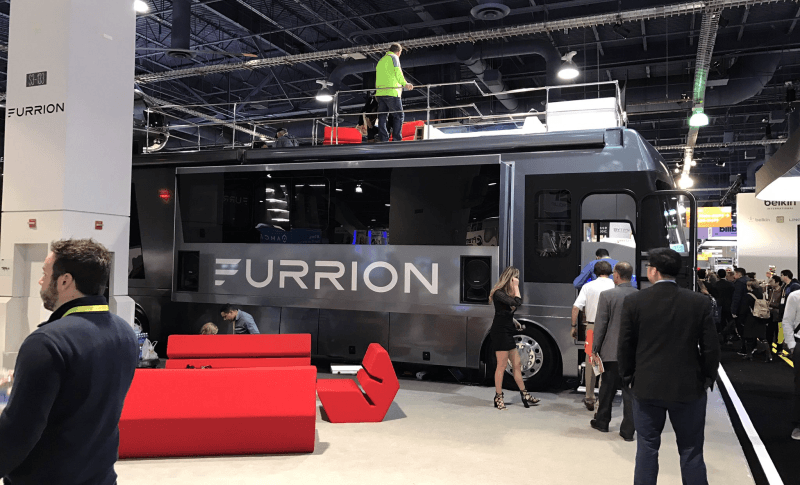 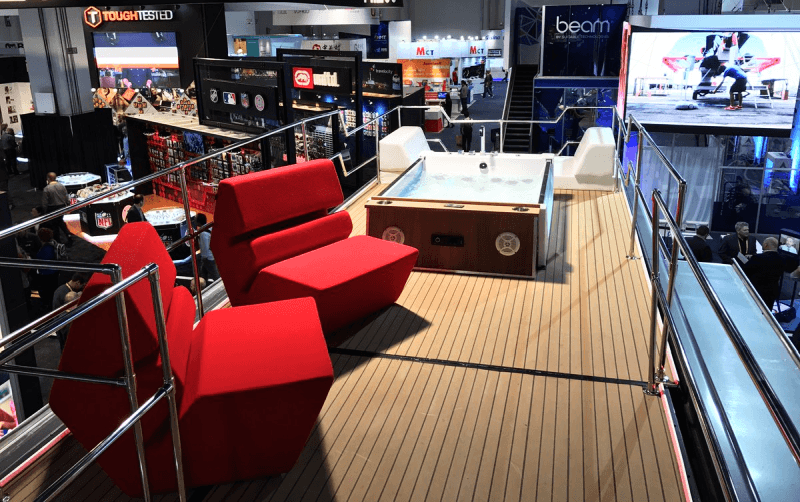 Update: Furrion has debuted two new concept RVs, Limitless and Hercules, at the 2018 Consumer Electronics Show (CES). 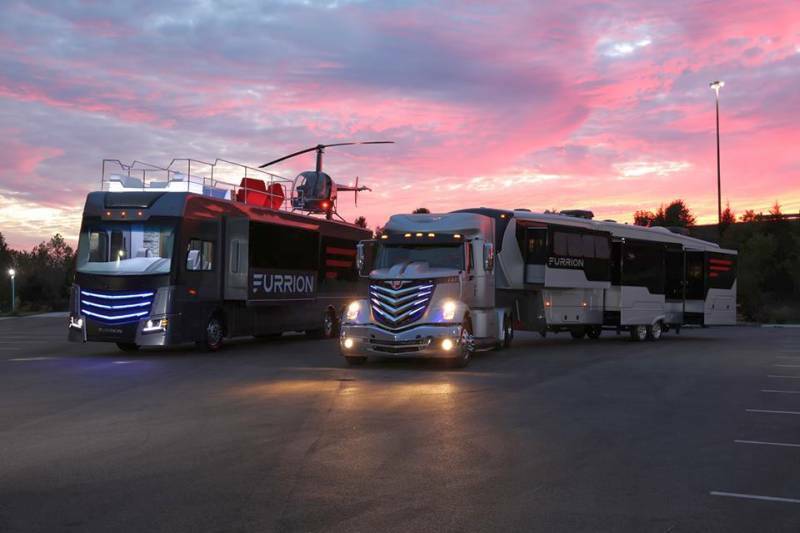 These concept RVs, along with Elysium are currently parked at Furrion’s Innovation Center and Institute of Technology in Elkhart, Indiana.